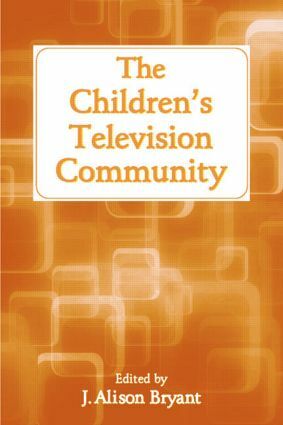 The Children’s Television Community presents a cutting-edge analysis of the children’s television community—the organizations, major players, and approaches to programming—and gives an overview of the history, current state, and future of children’s programming. Leading children’s television professionals and distinguished academicians come together in this volume to take a distinctive behind-the-scenes look at how children’s television is created, programmed, and sold. This thought-provoking work emphasizes the various actors whose creative, financial, political, and critical input go into children’s television, and addresses advocacy for children’s television from multiple approaches. * an eye-opening analysis of how decision-making affects what children are exposed to through television. The Children’s Television Community is highly informative for educators, industry professionals, and practitioners in media, developmental psychology, and education.